The equity shares of Xelpmoc Design and Tech Limited are proposed to be listed on the NSE and BSE. Xelpmoc Design and Tech will be launching its initial public offering (IPO or the Issue) which is scheduled to open on January 23, 2019, and close on January 25, 2019, with a price band of Rs62-Rs66 per equity share of face value of Rs10 each of the company (the Equity Shares). The anchor investor bid/issue period shall be January 22, 2019, being one working day prior to the Issue opening date. 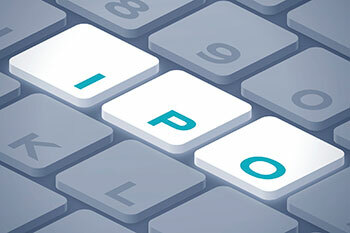 Initial public offering of [●] equity shares of face value Rs10 each (Equity Shares) of the Company for cash at a price of Rs[●] per equity share (including a share premium of Rs [●] per equity share) (“Issue Price”). A discount equivalent to Rs3 on the issue price shall be offered by the company in consultation with the BRLM to Retail Individual Bidders. ITI Capital Ltd is the bookrunning lead manager (BRLM) to the issue. The registrar to the issue is Karvy Fintech Private Ltd. The Company proposes to utilize the net proceeds of the issue for the purchase of IT hardware and network equipment’s for development centers in Kolkata and Hyderabad; Purchase of fit outs for new development centers in Kolkata and Hyderabad; Funding the working capital requirements of the company; and general corporate purposes.